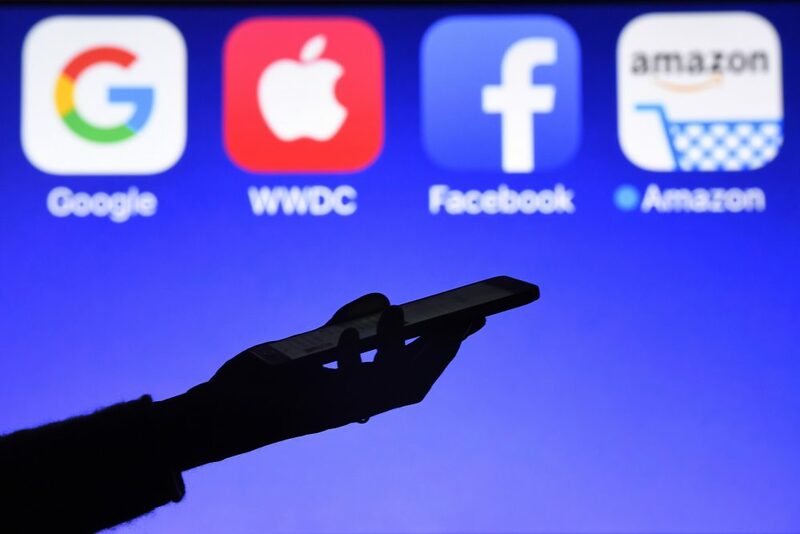 Apple, Microsoft, Amazon, Google and Facebook — the "Big 5" tech companies. They are so ubiquitous, their reach and control of our digital lives so complete, that it’s impossible to live without them. Or is it? "I didn't just want it to be an experiment where I boycott their products where I stop using Amazon.com or you know delete my Facebook account. That's something that's been done before and it's not really the question I was trying to answer. "I wanted to understand all the invisible ways that we interact with these companies, too. So I worked with a technologist who built a tool for me, a virtual private network or VPN, that prevented my devices from connecting to the tech companies servers. So that meant that not only did Amazon.com not work and WholeFoods.com not work, but any site that was hosted on Amazon Web Services, or AWS, it wouldn't load for me. So it wound up taking down a lot of services over the course of the experiment." "So the way that this tool worked that I was using — the technologist I was working with, Dhruv Mehrotra , got the list of all the IP addresses, or internet protocol addresses, that the tech giants own. So for Facebook it was about 120,000 IP addresses. And so he just blocked them off. So Instagram wouldn't load and Facebook wouldn't load and WhatsApp didn't work. And I also decided — I have thought for years about actually deleting my Facebook account. And I'm always resistant just because I've been building that thing since like 2007. I have all these connections and I've written that people who aren't on Facebook are suspicious and may not exist. And so it was hard for me to take that leap. "But I decided, 'OK, I'm doing this experiment. Let me just delete my Facebook account entirely.' And so these are the ways I separated myself from Facebook for the week. And, the one thing we did with the VPN — we wanted to try to capture how often my devices were still trying to communicate with the servers of these tech giants. How much data they were trying to get from me or trying to send to me. And over the course of that week, Facebook was kind of pinging my devices over 15,000 times." "I didn't just want it to be an experiment where I boycott their products where I stop using Amazon.com or you know delete my Facebook account. That's something that's been done before." "I thought that Facebook would be kind of a nice break from social media. And I didn't think it would be that hard. It was technically easy to block — like our blocker worked, which wasn't the case with all the tech giants — but it was way harder for me to let go of Facebook and its suite of apps than I realized it would be. Because I thought, 'Oh, I don't actually use Facebook that much.' I'm kind of obsessed with Instagram and I use that all the time. ... When I was doing this experiment, this was in the fall and I was blocking Facebook the week of Halloween, so I didn't get to see what all my friends were dressed up as, and I couldn't share photos of my adorable 1-year-old dressed up as Boo from 'Monsters, Inc.' But it was also the week of the election. And I really wanted to know what my friends were saying about how they're going to vote on local propositions in California. "And I was sad to miss that one of my closest friends had her baby, and I didn't find out until days later when I re-enabled my Facebook account, and it was one of the first things that popped up in my news feed. I called her up and I said, 'Congratulations, but I wouldn't have found out about this without Facebook.' And she said, 'Well, you know, if I post something on Facebook, I just assume everyone I know sees it.' "
"So we won't use Amazon.com this week, that's easy. But we needed a little — we needed a doodad for our car, one of those plastic phone holders that you attach to the air conditioning vents for your phone. And usually I would just immediately head to Amazon for that, but I couldn't this week. So I went to eBay and I ordered it, and a couple of days later I'm checking the mailbox, and I have one of those yellow Amazon Prime envelopes with the smiley arrow on it. And Amazon is just so dominant in the world of shipping and storing, that even its competitors are dependent on it. So they have Fulfillment by Amazon, and a lot of eBay sellers store their goods in Amazon warehouses and use Amazon services to ship. That was one of the ways I couldn't avoid Amazon." "I was sad to miss that one of my closest friends had her baby, and I didn't find out until days later when I re-enabled my Facebook account." "Amazon controls over 20 million IP addresses. There's billions of IP addresses available. Both Amazon and Microsoft actually own a lot of IP addresses, over 20 million, compared to Facebook, for example, which only looks to be operating 120,000 of them. "When most people think of Amazon, they think ofAmazon.com, the retail giant, and maybe Whole Foods, the grocery store that they recently bought. But the most profitable part of Amazon is AWS, or Amazon Web Services, and it's something that the company launched about a decade ago when it had to build the service for itself to host its data. And it has just done gangbusters growth. It's a really smart business move, and Amazon is now hosting the websites and data for apps for so many different companies, so many different services. It is a behemoth." "People have definitely been raising those questions. That's something that I explored in this series, and I read this, kind of a blockbuster academic paper, blockbuster for academic standards, by Lina Khan, where she talks about the fact that she thinks Amazon really is already a monopoly, but that antitrust law hasn't kept up with it or has evolved away from defining things like Amazon, which are pretty good for consumers in that they're offering cheap goods and cheap services, such that it's good for consumers so they're not seen really as a monopoly. In my experience with seeing just how dominant Amazon is, it made me certainly sympathetic with the concerns that Khan was raising in that paper. "Amazon is just so dominant in the world of shipping and storing, that even its competitors are dependent on it." "I always think about the real world, and in the real world the government has a kind of monopoly on providing you know public infrastructure: roads and highways and schools. They kind of have a monopoly on these things. And on the internet, which is still a pretty new thing, it's these companies that have built the infrastructure. And that became really evident to me during this experiment, that I just kept running into them because they have built the roads and the highways of the internet. They offer so many services that basically kind of any business that has an online component is dependent on them. And so we have this weird place, this public space, where we're all spending more and more time that is controlled by tech giants instead of by the government, and we just don't have the same kind of civil liberties against private companies that we do against the government. I think we we really need to examine this because it's just kind of developed on its own in a kind of haphazard way, because the internet kind of just developed and surprised us. And I think now is a good time to look at what's happened and think about what we do about it so that these companies don't become so powerful that we can't stop them."